Do you have interest in farming? Do you want to start farming apples? This tutorial will help you understand that it doesnâ€™t take more than patience, a good understanding of the apple treesâ€™ lives to help you start up the wonderful world of the apple farming business. The apple is a powerful multibillion dollar industry with a $10 billion value as of 2005. The market is set to increase as the world slowly turns towards turning to healthier and greener foods. The United States’ apple market has experienced a revival when the Green Revolution began, the beginning of the healthier foods campaign. 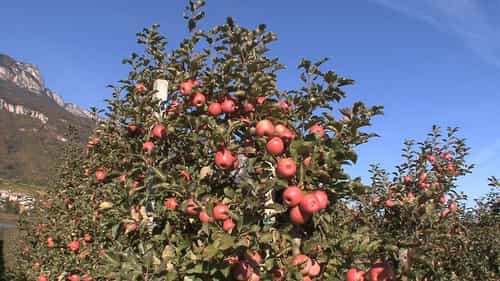 Starting an apple farming business is basically good for people with real hard patience and some good money to borrow, or if you have the money, the apple farming business is a “slowly but surely” growing business where the first returns may take some time but the returns would last longer. The primary clients of the apple business are the direct consumers. However, some apple companies prefer to associate with grocery companies or supermarkets. In the past, the direct consumer approach wasn’t as successful as those companies which associated with the big companies. However as the Green Revolution produced a side effect on the farming business which we call the “Organic Produce is Better” way, the companies which sold apples directly to consumers had an increase of sales. This was due to the belief of the public that what they buy directly from the farmers was fresh. Although this was misconstrued, it gave the direct sellers a chance to up their ante at surviving the business world. Stores and supermarkets, because of the financial crisis, are now in dire straits to make ends meet. These were the original big consumers in the apple business. Now, as stores close, if an apple business sells exclusively to the stores and supermarkets, they could end up with less sales and big profit losses. Therefore it is advisable that if you start a business start small and sell it directly to the customers. Considering the steep drop in land prices, it may seem cheap to start the business. But consider that the business entails crop machines, tractors, workers, and such. You might want to budget wisely, as you need to do a balancing act to keep all of these factors intact. There are hidden costs too in the business. Consider the machines you need for separating the roots and twigs and for those cleaning the apples. You might also considering training your workers in basic apple farming. This may take some time. But time may both be your friend and enemy, as it takes a long time for the apples to grow, which could mean a delay of the return of investment. But it can be your friend as the whole time it takes for the business to have the return of investment is longer and better than other businesses. Starting an apple farm is a good idea as demand for juicy fruit is growing every year in india. In India apple farms are basically in Jammu kashmir.Himachal pradesh.and Utra khand. Apple needs minimum 700 hrs of chilling temperature. Chilling temperature is less than 10* C duting winters. But recently In Himachal pradesh a variety is developed which can be grown in lower hills also. mean apples which require less chilling period. So this variety can be grown in northern states of India which are under cold spell from December to february. This apple may not be so delicious as of high hills but will be apple with small size. Apple farming is catching fancy with farmers if low hills in Punjab and Himachal pradesh.Hariman and Anna dorsiet r favourite in this low hill belt.Moreover u get fruits in the month of June when there is no fruit in high hills. It is indeed a good business as Apples cost much these day. I want to know if apples can grow in Nigeria? How do we get the seedlings to plant and where? Can Apples grow in Eastern Nigeria? How do we get the seedlings and where?